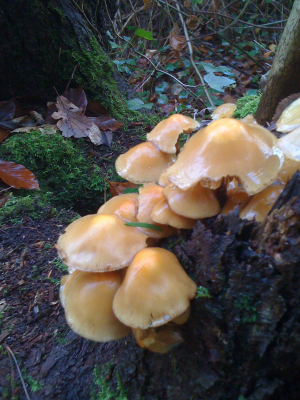 Observation - Help identifyig this mushroom please - UK and Ireland. Description: Mushroom cluster at foot of tree. Mushroom cluster at foot of tree.